We all wish we had unlimited money and could live worry- and debt-free. However, that isn’t a reality for most of us living on a tight budget, and for whom debt can seem unsurmountable. Fortunately, it is possible to pay down debt with the right plan. 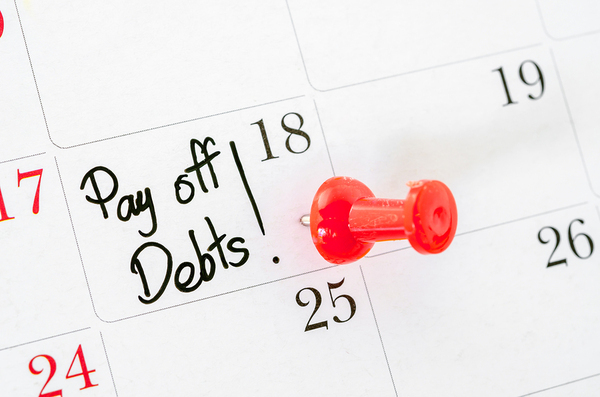 Here’s a step by step guide to paying down your debt on a tight budget. Use it to remove debt stress, and experience more financial freedom. Before you can tackle debt, you must know exactly how much you owe. Grab all your bills from the last month and start writing down balances. Don’t forget to include all your different types of debt, whether it’s from credit cards, student loans, a mortgage, auto notes, or other debts. Use a piece of paper or a spreadsheet to organize your debts from smallest to largest. Next to each balance, write down the minimum amount due each month. This step might feel overwhelming, but don’t let big numbers scare you. Instead, focus on the goal itself. You have debt to pay down, and once you do, you’ll enjoy greater freedom. What happens when you pay down your debt? Will you start saving for a summer vacation? Might you return to school? Come up with a reward that you can only have if you pay off your debt. This will give you motivation to stick to the rest of this plan until you reach your goal. You might take a few missteps, but you’ll stay focused on the prize you’ve promised yourself. If you’re paying off debt with a partner, come up with two separate rewards or one shared reward. For instance, maybe you’ll take a cruise together and finally see the Bahamas. There are two widely-accepted strategies for paying down debt on a tight budget. The first, coined by Dave Ramsey, is called the snowball effect. You pay off the smallest debt first to gain extra motivation. Once you can cross a debt off your list, you’ll feel empowered. Tackle the second-smallest debt next, and so on. The second method targets high-interest debt. Start by paying extra on debts with the largest interest rates because you’ll save money in the long run. Credit cards and payday loans often involve significant interest. You pay less interest on car and mortgage loans. Neither strategy is better than the other. Consider them both and decide which works best with your personality and your approach to finances. Since you’re on a tight budget, you can’t pull extra money out of thin air. However, to pay down debt, you can’t continue to write checks for the minimum balances on each account. You have to contribute more of your money to paying debt in order to speed up the process. If it’s feasible, get another job. A second career can increase your income significantly. Decide that whatever you earn from your second job will go toward your debt. That way, you can keep your budget largely unchanged. The second option is to cut expenses. Turn down the temperature on your water heater, ask a friend to carpool with you to and from work, sell items you no longer use, cancel memberships and subscriptions, and cook your own meals instead of eating at a restaurant. Start brainstorming ways to save money now. You know your lifestyle better than anyone else, so you’re the most capable person to decide where you should cut expenses. Maybe you can’t live without your Starbucks coffee in the morning, but you’re okay with giving up cable television. Perhaps you love hitting the gym every morning, but you’re willing to miss Friday drinks with your friends. 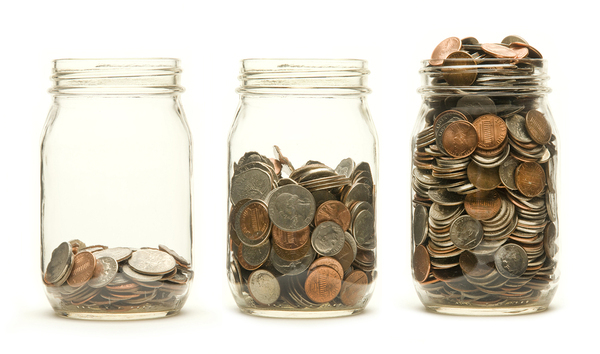 It sounds simple, but spare change can add up fast. Apply for a prepaid debit card, and put a mason jar in your kitchen. Every day when you get home, dump all the change from your wallet, purse, or pockets into the jar. Search your house for spare change that might have dropped on the floor or between couch cushions. Whenever the jar fills up, get coin rolls from your bank, roll up all the coins, and deposit the amount onto your prepaid debit card. You can also use a prepaid debit card for money management. Maybe you pay for everything with plastic, in which case you’ll want to split up your income. For example, you might set aside your budget for fixed costs such as your rent or mortgage or car payment on one card, and your budget for somewhat flexible costs such as groceries, on another, and so on. Label the cards to keep them straight, and never borrow from one to serve another. If you have money left over at the end of the month, use one of your prepaid debit cards for savings. Don’t touch the card until it reaches a certain balance, such as $100. When that happens, put 90 percent toward your debt and 10 percent toward a small, motivational reward. If you have debt from many high-interest sources, consolidation can prove particularly useful. Consider using a Green Dot Money personal loan to pay off those debts. A personal loan can help to simplify your debt and let you enjoy a lower interest rate. Loan consolidation has worked for millions of people who suffer under the burden of significant debt. You can also use personal loans to pay for unexpected expenses, such as emergencies, so you don’t disrupt your path to paying down debt. Many people don’t realize that they can communicate with their lenders. From credit card issuers to mortgage companies, you can give your lender a call and ask for help. A representative might be able to lower your interest rate on a loan or redesign your payment plan so it better fits your budget. Sure, your lenders can say “no,” but they might say “yes.” That’s the gamble you take. To influence them in your favor, mention any qualities you have that might endear them to you. For instance, call out the fact that you’ve never missed a payment or that you paid extra against the principal last year. Talk about the job you’ve held for the last 12 years and your goal to become debt free. The representative might decide to help you out. Self-sabotage often serves as the most significant obstacle to paying off debt. You’re already living on a tight budget, and you get frustrated. To help keep yourself on track, focus on gratitude. Instead of thinking about what you want, think about what you have. Maybe you don’t have anything of physical value, like a flat-screen television or a brand new car. However, you probably have family members you love, pets you adore, a beautiful city to explore, a passion for a favorite hobby, or some other blessing that can help keep you working toward your goals. Yes, you might have to sacrifice to pay down debt on a tight budget. However, if you think about the positives instead of the negatives, you’ll enjoy far faster success. Get a calendar or open the one on your smartphone. Every time you pay off a balance, write it down. Calculate the remaining amount that you owe, and add it beneath the first number. This is another form of motivation, but it’s also an organizational necessity. By writing down your progress, you solidify your accomplishments and keep track of your numbers. Maybe you’re the forgetful type. You’ve saved the money to pay off debt, but you forgot to send the check. Set up automatic deductions through a prepaid debit card so you never incur credit- and budget-damaging late fees. You can also use a prepaid debit card to accept direct deposit payments from your employer or even your income tax return. You may get access to your cash up to two days faster, which means you can pay down debt more quickly. It’s not easy to pay off debt when you’re on a tight budget, but it’s not impossible. If you’re ready to start your own path to financial freedom, get a card and take control of your future.